We live in an era marked by extremes, volatility, and complex change, whilst at the same time we have increasingly become reliant on digital technologies that are converging in unexpected ways to generate new system-wide orders – socially, economically, and environmentally. It is also clear that within these changes, the individual needs, preferences and goals of today’s learners are distinctly different from those of the past. Viewed as a whole, education as we have known it over the past two hundred years is on the verge of entering new realms of possibilities that hold the potential to revolutionise accepted views on the role and purpose of learning and teaching. For these reasons, a (holistic) systems-focussed revision of current learning and teaching theories and practices is needed to explain the new complexities and the resultant implications for how humans will learn and apply that learning in the future. The next frontier in education is moving away from a reliance on ‘content’ provision and memory retention to a rediscovery of the natural unconditioned state of the human mind and its unlimited capacity to learn and generate knowledge. Our compulsive appetite for ‘information’ and the endless cycle of cram-test-grade and forget is no longer productive. In its place, a new cognitive state and an adaptive learning culture is emerging that is highly aware, passionate, curious, relational, networked, open, cooperative, and sharing. A fundamental rethink on the purpose and design of learning environments is also needed where the focus is not just on what to learn, but also the methods that enhance an individual’s capacity to learn. My research to date has aimed to relegate the traditional transmissionist model to the past and shift well beyond the assumption that the recipient passively absorbs and understands information that is presented in a regulated, linear manner. 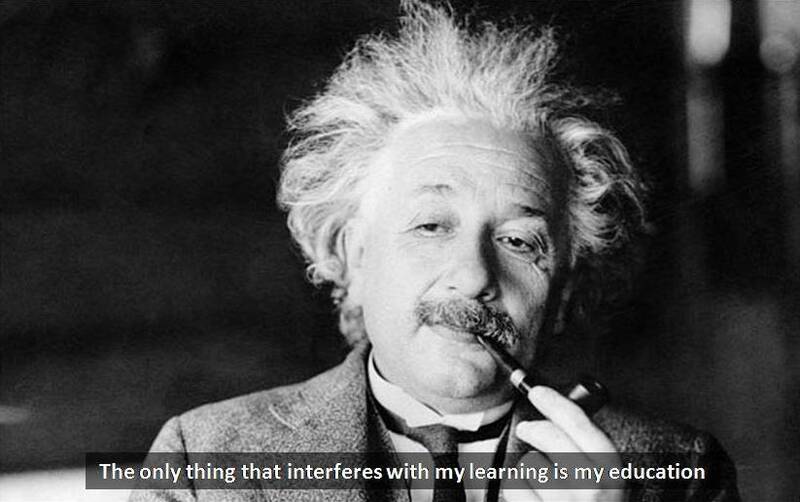 In its place, a systemic focus on learning incorporates the fact that we all live and learn in dynamic environments that are embodied by living, complex systems comprised of diverse arrays of people, events, artefacts, and networks that act as catalysts for transforming the learner’s awareness of how knowledge is discovered, constructed, absorbed, and applied. 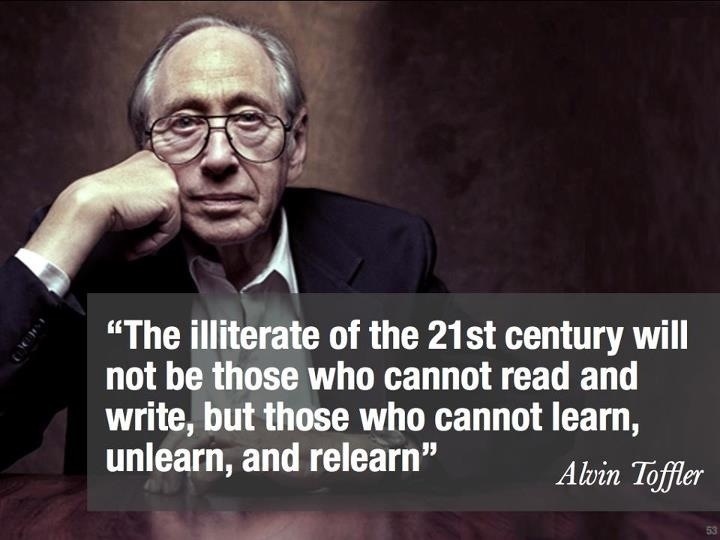 Such thinking represents a basic shift in the focus of teaching and learning as a means to accumulate information and knowledge to learning as a self-directed, life shaping and changing experience that is augmented by active, overt cognitive engagement in the learning process. For organisations responsible for teaching and learning this shift provides direction as to how to manage and faciltiate the complex tasks of knowledge construction, attainment, and application in a future where uncertainty is the only constant. An emphasis on networked communities further extends the individual’s knowledge construction skills to encompass multi-level, interconnected, social learning systems that expose the learner to a diverse array of perspectives, practices, interests, and knowledge domain nuances and idiosyncrasies. In this model, the learner is encouraged to negotiate pathways (either pre-set or self determined) through a multiplicity of contexts whilst simultaneously being ‘monitored’ through consensus from peers or community members who analyse and provide feedback on the strategies and assumptions employed during the learning process. In this way, learning capability is enhanced for both individuals and the collective. Ultimately, there is great scope for developing next generation online and offline tools for teaching and learning, for use both inside and outside of existing educational contexts. With such tools, students can personalise their learning activities, engage the wider community in that learning journey, and along the way develop rich and rewarding lifelong relationships and learning experiences. In effect they are afforded the opportunity to create their own world of learning. The realisation of a world of learning reinforces the capability that exists within each individual’s reality. To leverage a person’s innate learning world as the foundation for lifelong learning and teaching must be the primary goal of education. The unrealised value of this thinking is most evident in its capacity to explain how to exploit the depth of learning that can be derived from the interplay of individual, group, and community activities, particularly once viewed as a complex adaptive system. Where social progression is concerned, the question to be resolved is how to engage individuals, education institutions, and related support groups in communal discourse and mutual co-operation in which experts and organisations define, capture, and facilitate the transfer of learning capability, knowledge construction, and expertise to other individuals and groups. All occurring with the goal of leveraging the entire system of community knowledge that exists, is used everyday, and grows faster than any other source of accessible knowledge, information, or experience. From an economic and business perspective, the challenge is to align with the way non-school teaching and learning naturally occurs: it happens within the world in which the learner lives and works; it happens in a lifelong engagement and commitment to learning and teaching; with the innate learning models that reside within the minds of learners, their communities, and their cumulative work experiences as each develop and adapt to what they learn, and so build a world of learning capability that defines their life’s journey. Such a model may encompass formal learning, but not always as the exclusive source as there are countless occasions when informal learning occurs or is a crucial partner to formal learning. In a knowledge driven economy, community knowledge is also a critical capability, which in turn is a vital resource if tapped into as part of learners’ and their communities’ worlds of learning to provide a foundation for sustainable and robust economic development. Within this context, the goal is to explore how technology might support such improvements. We could ask for example how the right technology can be applied to specific conditions that might support a learn-teach agent for enhancing cognitive development. Abundant as online technology is and has grown over the past twenty years, the coming years will bring an exponential increase in the uptake of online education. Ubiquitous broadband, fibre to the home (FTTH), cloud computing, Moore’s Law, breakthrough chip technologies and IPV6 (the Internetting of Everything) are due to become household norms. While all this may present positive advances, it will not be the existence of these technologies that improve teaching and learning, but more specifically about what is used, why it is used, and how it is applied to specific contexts. Ultimately, it is the ability to combine new learning processes with the most appropriate technologies that are applied to the conditions in which the learner lives, that will define what learning in the future is about.